Philanthropy provides an opportunity to connect people with effective services to improve their lives. While philanthropic work generally centers on supporting programs at community-based organizations (CBOs), foundations also have a role to play in ensuring that CBOs have the right resources to bring about change. After two years of research and data collection, Get IN Chicago, an organization that funds and studies violence prevention programs serving acutely high-risk youth, released key recommendations to help funders make best use of resources for communities. While Get IN Chicago focuses on violence reduction, these recommendations provide valuable insight to any funder currently executing or considering a sustainable social impact initiative. Confirm the program‘s goals are best suited for the group or risk population you want to serve. At Get IN Chicago, our mission is to work with organizations that serve acutely high-risk youth. However, terms like “at-risk” and “high-risk” can mean many different things. We started our process by examining which CBOs implemented programs specifically focused on youth at highest risk of perpetrating violence: youth with previous arrests, juvenile justice system involvement, truancy, and/or dropout status. Much like how a deep understanding of the client yields a positive business result, defining the subgroup your program intends to reach is well-worth the extra nuance. Not only does this early step focus resources but it also helps clarify which potential community organizations are best fits for partnership. 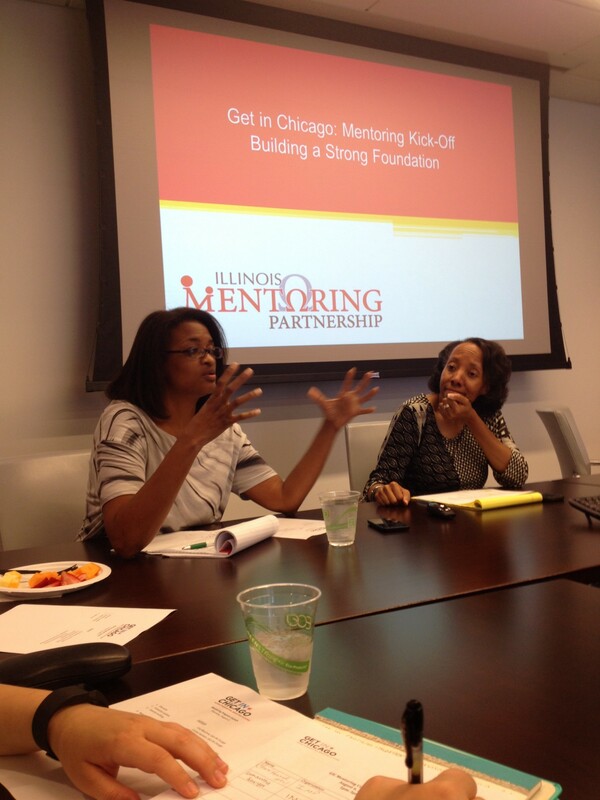 Get IN Chicago has enlisted MENTOR Illinois (formerly Illinois Mentoring Partnership) to provide capacity support for mentoring organizations. Ensure partners have the capacity and capabilities necessary to meet community needs and collect quality data related to their services. Tackling any social issue in a sustainable way is hard work, and resources, especially at the local level, are often limited. But “capacity” shouldn’t be limited to funding dollars. Certain skills and operational upgrades can dramatically improve outcomes, and it’s important to ensure that CBOs have the appropriate resources and tools to succeed. Get IN Chicago found that even with financial support, many community organizations still needed resources for staff training, technical assistance, strategic planning, financial management, and other operations. Capacity support can also strengthen organizational infrastructure and attract additional funding, allowing work to continue beyond the life of a particular grant or donation. Like a medical prescription, programming hits its peak effectiveness only at the right dosage — and too much or too little of a program can sometimes have an adverse effect. For example, mentoring programs require at least two 1-hour sessions each week. Even the best mentoring program won’t produce tangible results if it only holds two sessions per month. Understanding dosage thresholds can be an invaluable insight for funders. In particular, recognizing which service providers have the capability to reach these thresholds consistently and which providers would benefit from extra support can help funders understand how to increase impact. 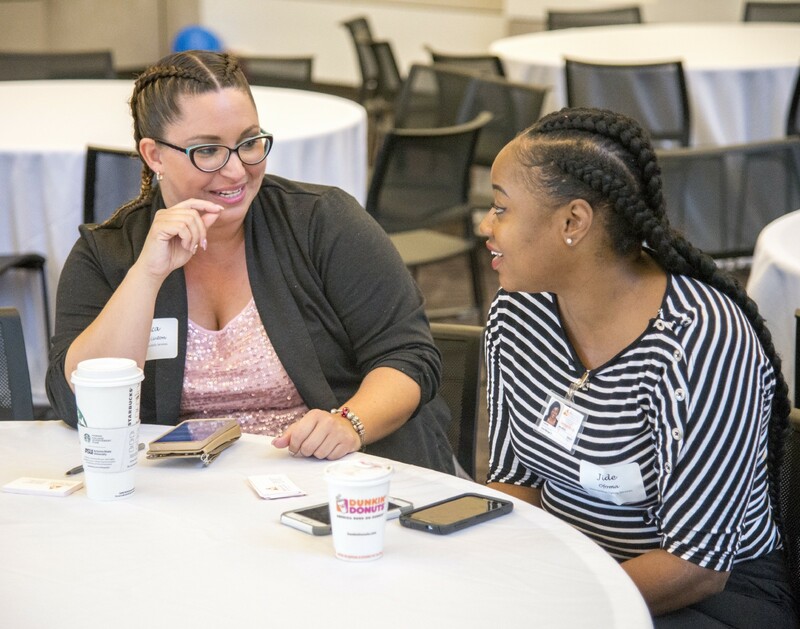 Get IN Chicago partners at our Strengthening Youth through a Network of Care (SYNC) provider kickoff, which included sessions on evaluation and measurement. You can’t improve what you don’t measure. For any long-term project, having a measurement plan in place from the beginning makes a world of difference. One way that funders can support CBOs is by implementing systems for collecting and sharing data. The benefit to this is two-fold, giving CBOs the opportunity to more effectively evaluate their success and improve programs and also helping public and private funders start directing their dollars to what works. These recommendations can be seen as starting points, but in order to have sustainable social impact, they must be part of an ongoing conversation with frontline organizations. Ask questions such as “How do you measure results?” and “How do you know you’re reaching the right people?” and listen to the insights and experiences shared. With mutual accountability, collective success is achievable. Toni Irving, Ph.D., is a public policy expert. She has been at the helm of Get IN Chicago since 2013 as the Executive Director and leads the organization’s efforts to fund programs that support and empower communities hardest hit by poverty and violence, working closely with staff, private funders, grantees and the acutely high-risk youth that Get IN Chicago serves. Previously, Dr. Irving was the Deputy Chief of Staff to former Illinois Governor Pat Quinn, and was also a faculty member at the University of Notre Dame. This article originally appeared on medium.com on July 31, 2017.